For the 4th edition of the BregenzBiennale French curator Sophie Lapalu and Austrian artist Albert Allgaier, co-founder of the BregenzBiennale, invited 46 international artists to create site-specific invisible interventions in and around Bregenz, Austria. 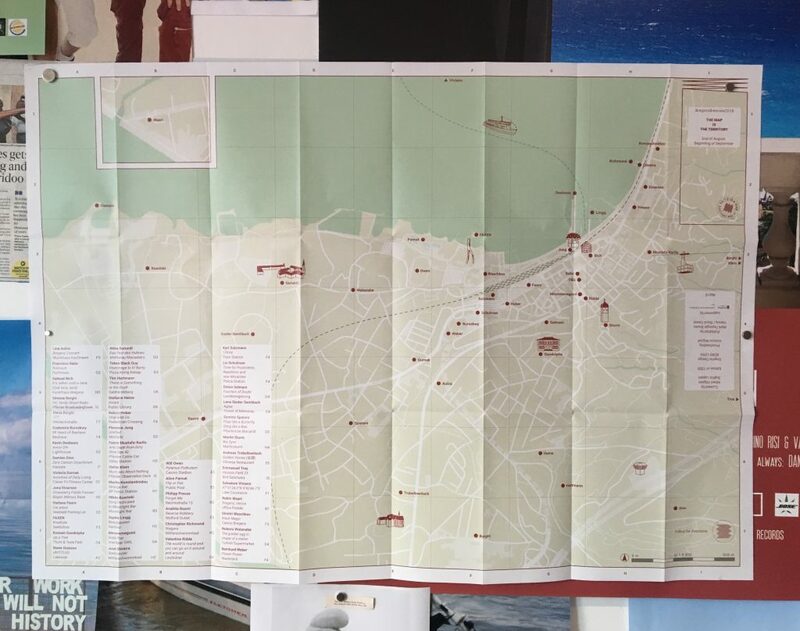 The biennale’s motto THE MAP IS THE TERRITORY reconciles radical conceptualism with subversive performance through a guide map that also works as the exhibition catalogue. Ranging from shamanistic rituals in the Casino to watering flowers with LSD, the works presented at the BregenzBiennale2018 juxtapose the poetic everyday with the mysterious and metaphysical. Lina Aušra, Francisco Babo, Samuel Bich, Simone Borghi, Elena Borghi, Godomira Buroskwy, Kevin Desbouis, Damien Dion, Victoria Durnak, Jona Einarson, Stefano Faoro,FAXEN, Romain Gandolphe, Steve Giasson, Akba Gurundi, Token Black Guy, Tim Hartmann, Stefanie Heine, Robert Huber, Florence Jung, Fatmir Mustafa Karlo, Stefan Klein, Marika Konstantinidou, Mikko Kuorinki, Sophie Lingg, Mmmmmegumi, José Oliveira, Will Owen, Alice Pamuk, Philipp Preuss, Anahita Rahzmi, Christopher Richmond, Valentine Ridde, Karl Salzmann, Liv Schulman, Driton Selmani, Lena Sieder-Semlitsch, Semino Spataro, Martin Sturm, Andreas Trobollowitsch, Emmanuel Troy, Salvatore Viviano, Robin Waart, Dimitri Waschkov, Noboru Watanabe & Bernhard Weber. The catalogue of the BregenzBiennale2018 is published by Mark Pezinger. The BregenzBiennale is supported by Land Vorarlberg and Bundeskanzleramt Österreich.